This naturally meant that my entire tertiary education revolved around the recession. I spent many nights using the benefit of hindsight to build financial models that could’ve predicted the timing of America’s housing bubble burst. For one of my favourite courses, we had to perform investment analysis and research before picking a ten-stock portfolio on Google Finance to track over the course of the semester - grades dependent on how well our portfolios performed against the plummeting Dow Jones Industrial Average. 3.) Can I use your time machine? 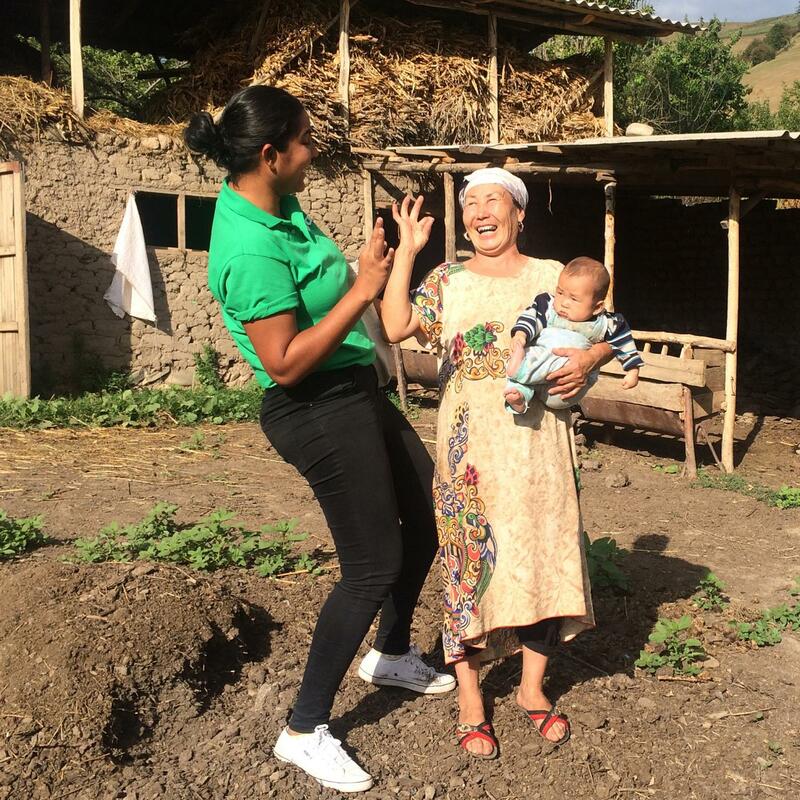 Over the last month, I have been travelling all over Kyrgyzstan as a Kiva Fellow to meet Kiva borrowers who are clients of Bai Tushum Bank, a Kiva Field Partner. 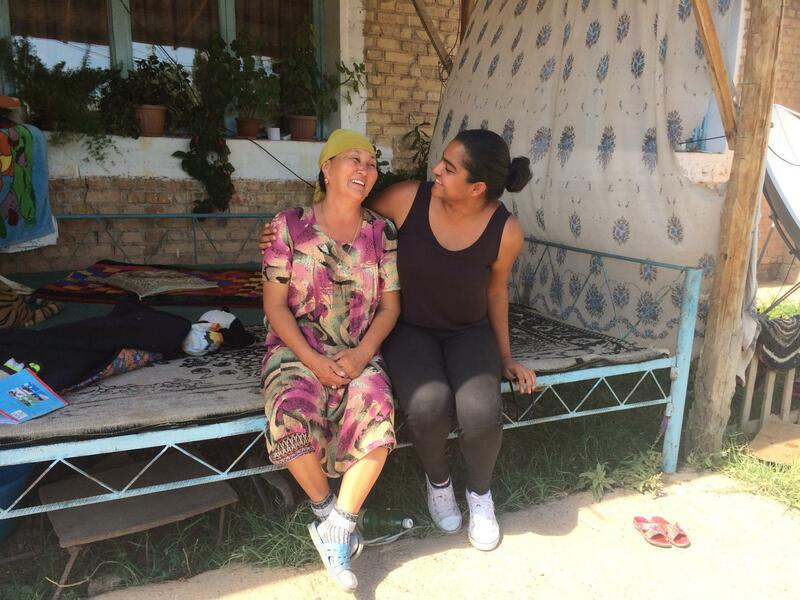 My travels have taken me to the homes of 14 borrowers in six out of the seven regions of Kyrgyzstan. Twelve of those borrowers were adorable Kyrgyz grandma’s working hard to develop their livestock business - a ratio that accurately reflects Bai Tushum’s Kiva borrower mix - hop onto their fundraising page and see for yourself! The more I spoke to the borrowers, the more I realised that the livestock business in Kyrgyzstan has potential to be extremely profitable. My suspicions were confirmed when I met a software engineer that had just bought land to start a livestock business on the side himself - “there is a lot of money in this business here - the grass in Kyrgyzstan is premium and it is free in the mountains”, he said. There aren’t many industries that measure success by an increase in the number of clients that don’t need their services anymore - microfinance is one of those industries. The potential return on investment for a Kiva borrower in Kyrgyzstan was clearly very high, but somehow, the borrowers I met were unable to work their way of out debt-financed operations and into equity financed operations - the true goal of microfinance , in my opinion. -How much does a cow, a goat and a sheep cost to purchase? - What costs are involved in finding the seller? - How much does it cost to fatten them up for resale? - How long does that take? 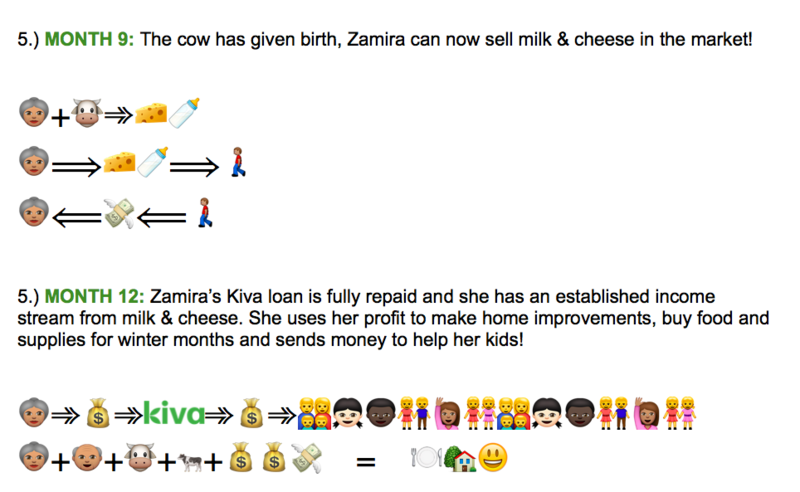 - What is your Kiva loan term? - How much interest are you paying on your Kiva loan? - Do you sell all your livestock at the end of the “fattening season”? - What do you use the profits for? - What other sources of income do you have? - What costs are involved in finding the buyer for resale? - Do you use the cows for milk & cheese sales? If so, how long is the cow productive? - How much do you sell milk & cheese for? Are travel costs involved in selling this? 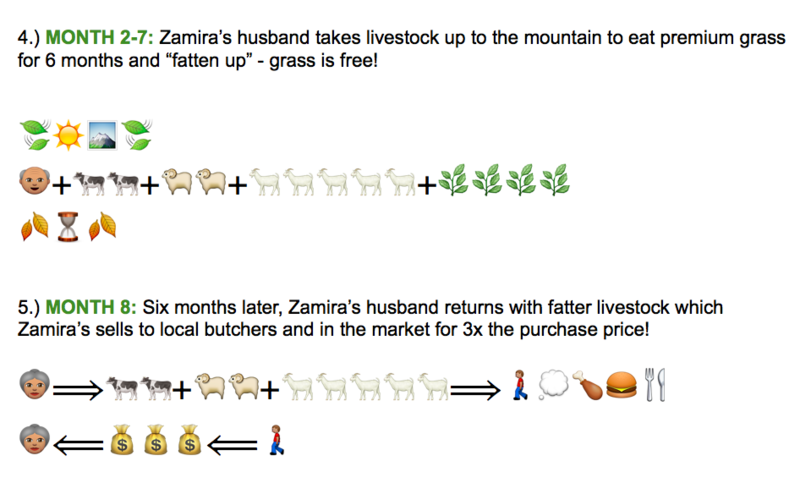 - How much do you resell your cow, goat and sheep for at the end of “fattening season”? - Do you breed any of the livestock? As the wheels turned in my head, I grew curious - could a cow beat the Dow? Your Kiva loan to a borrower in Kyrgyzstan is not only giving them access to capital - it is also giving them access to a 30.1% return on their investment! When compared to some of the worlds most prominent indexes over the last two years, your Kiva loan has a financial impact that provides borrowers with a return on investment 11 times more than the Dow Jones Industrial Average, 9 times more than the S&P 500, 7 times more than NASDAQ! 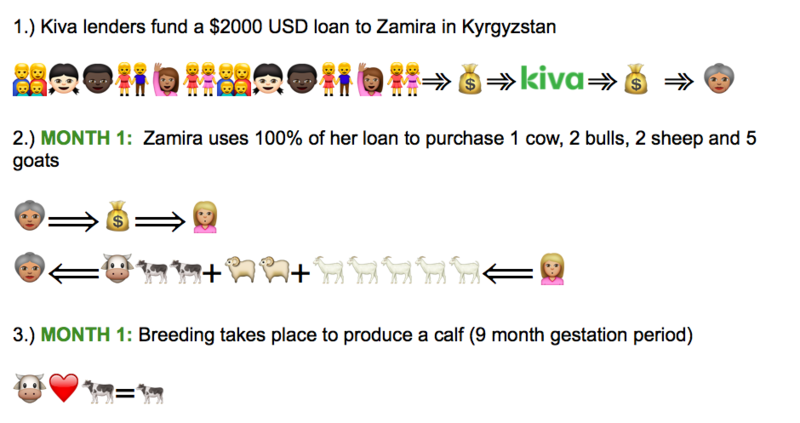 Furthermore, with a few simple reinvestment decisions and business planning, Kiva borrowers in Kyrgyzstan can earn up to a 78% return when they invest their Kiva loan into the livestock business! 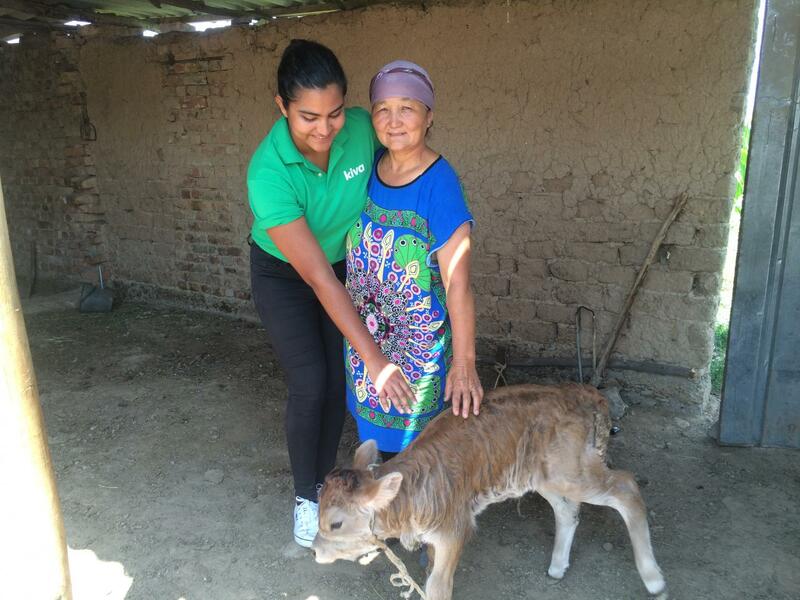 Over the next couple of weeks, I will be sharing my “Can a cow beat the Dow” financial model with Bai Tushum staff and exploring opportunities to provide Kiva borrowers with some simple business tips that could help them maximise profits and tap into the potential of this lucrative industry! Sharing laughs with Kiva borrower, Katychakan and her grandson! Kiva borrower, Kamila, used her loan to buy this goat as well as some fertiliser for her farm. 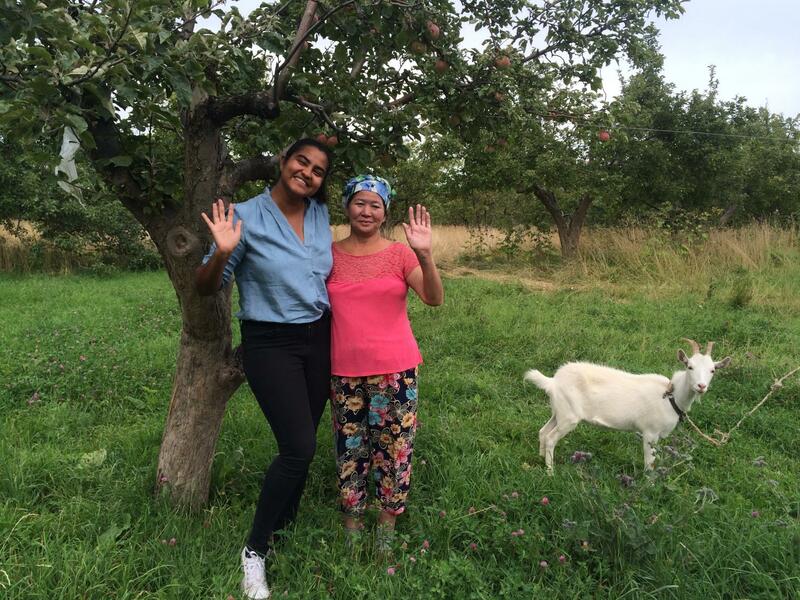 Kiva borrower, Nuriya! One of the cows paid a dividend, this cute 3-day old calf! 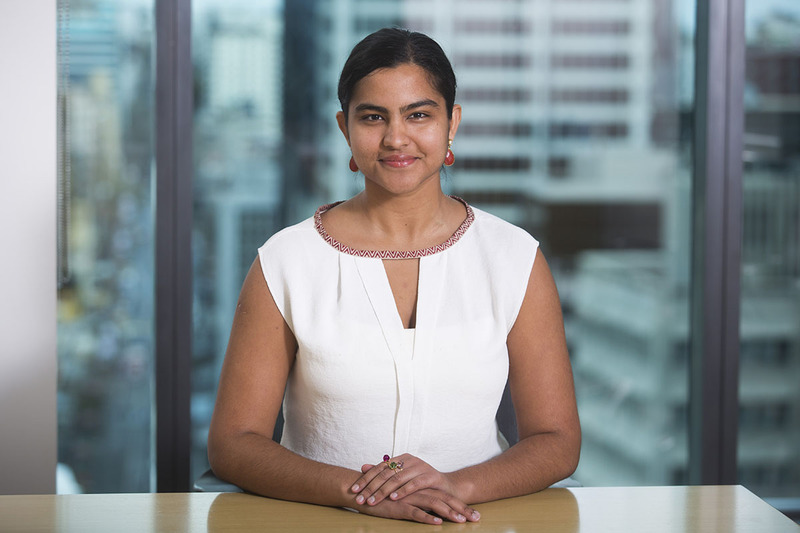 Born and raised in Fiji, Priya moved to New Zealand for University after which she joined Deloitte Auckland as a Graduate Audit Analyst in July 2012. Currently a Manager with Deloitte, she works with an exciting portfolio of clients that ranges from Airlines to Apple Growers! After qualifying as a Chartered Accountant, Priya spent four months on secondment to Deloitte London where she conjured Microsoft Excel magic on weekdays and embraced her inner nomad with trips to Europe on weekends. Having explored thirty countries in the last six years – travel is one of Priya’s four passions – business, food & social entrepreneurship being the other three. Priya is the CEO & Founder of two social enterprises – Mentor me Fiji Foundation which has been working with orphans to foster academic development in Fiji since 2013; and most recently, Karma Collective – an organisation based in Auckland that brings corporates, young professionals and university students together to solve business problems for developing world entrepreneurs, at zero cost to the entrepreneur. Having grown up in a developing country, she is very excited to be a part of the 30th Kiva Fellowship class and looks forward to seeing first-hand, the impact of microfinance in the field.